The Fli-Lyte 3 is, as the name suggests, the third iteration in a line of soft, responsive, lightweight trainers from Massachusetts-based Topo Athletic. 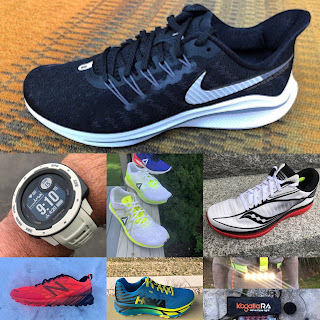 Topo’s line of running shoes cull “natural running” - efficient, low-drop, unperturbed-gait-based movement that we’ve also seen promoted by brands like Altra, Skora, Hoka One One, Newton, and others. That’s not to say Topo is a follower - the brand has been leading this movement for a long time - and in my experience, the Fli-Lyte is one of most polished “natural running” trainers. It’s lower drop, yes, and the forefoot is wider than a traditional road trainer, but it also feels familiar. The upper is also considerably nicer than the previous generation, removing some of the shiny plastic-like overlays and presenting a clean (and quite handsome) aesthetic. We’ve previously reviewed the Topo Fli-Lyte 2, and came away with issues owing to the upper. Fortunately, the FL3 presented no such problems, and was a terrific high-mileage trainer for those seeking a little more ground feel than your usual Brooks Launch or Saucony Kinvara, or for those who need more room in the toebox. Pros: The new upper on the Fli-Lyte 3 is comfortable and light, and the shoe is well-constructed. The midsole was responsive without being dense. Overall, a lightweight trainer that doesn’t sacrifice on cushion. Cons: Unlike other low-drop trainers, it took my calves several days to adjust to the drop on these. Moreover, while the wide toebox does give a comfortable fit, I didn’t feel the laces provided enough range to create sufficient lockdown, especially for faster running. Michael is his 20’s and is a 1:07 half marathoner. He runs 50-60 miles per week, generally in lightweight trainers or racing flats at around 6:00-6:30 minutes/mile. Part of Topo’s business is creating wider-toeboxed shoes to allow for more ready toe-spreading, and resultantly facilitate that more natural footstrike. What it means when you first lace up the Fli-Lyte 3 (at least, if you’ve never worn a Topo) is that you think, in order: whoa, this sort of looks like a clown shoe, and then, hey, this is really comfortable! My 8.5 fit true-to-size, though I was never able to quite achieve the lockdown I wanted - the laces are nice and chunky, but whether it’s the overall width of the shoe, or the insufficient tension the laces put on the upper, I just couldn’t seem to get this tight enough. Those who have a wider foot likely won’t have a problem - I suspect this is at least some of Topo’s target demographic - but those on the narrower side may want to take heed (or take to wearing a thicker sock). The upper is perhaps the Fli-Lyte 3’s strongest element - it’s comfortable, clean, and plenty breathable. Topo highlights that the number of overlays has been minimized from the previous iteration (this is obvious from just comparing the two shoes, visually), and that the upper is built from a new engineered mesh to secure the foot over the platform. In all of my runs, it worked well - with the caveat, again, that it is quite a wide ride up front, and particularly sharp corners gave me a little too much of the slippy-slidey feeling. It is possible that the insufficient lockdown could actually be improved by adding some overlays or anchor cables to the lateral and medial sides of the laces, similar to Nike’s “Flywire” or the elastic midfoot element of the Brooks Pure series. Such an addition would come at the cost of weight, but this is an instance where I’d gladly tote an extra ounce for an improved and more secure fit. New for 2019, Topo added an Ortholite® footbed to gives the Fli-Lyte 3 a softer ride, without “sacrificing midsole response and pop.” This was, true to word, a pleasantly lively shoe. Topo is famous, of course, for their lower drop heights. For this iteration, the FL3 packs a 23mm-to-20mm stack height (3mm drop), which offers superior cushion without sacrificing flexibility and ground feel. In sum, as as toted by Topo across the line, the design allows for a more natural running experience. In practice, the cushion is responsive - but to my feet (and, more relevantly, my achilles), the drop really did feel significant. It may have been extended bouts in higher-drop trainers for other RTR testing, but after the first two or three runs in the Fli-Lyte 3, I really was sore, and wishing for something more underfoot. This sensation largely dissipated after a few runs, but it was an experience I didn’t have in other sub-5mm drop trainers. Soreness aside, the ride of the FL3 is lively and comfortable, if not altogether unique. It doesn’t feel dull - I think this is where the Ortholite footbed may actually suppress someone of that ‘bounceback’ one may otherwise encounter - but you’ll know it’s EVA from the first step. To Topo’s credit, the midsole is a pretty good bargain in the weight-to-cushion department, as the FL3 feels more supple over longer runs than most 8oz trainers. Nothing to complain about here. As I’ve preached before, an outsole you don’t notice is an outsole you like. Topo actually stripped away some of the blown rubber, leaving some exposed elements on the outsole, but maintained rubber in the key “hot spots.” including the toe, medial forefoot, and heel. Finding that hybrid of weight-saving and grippy isn’t easy for all manufacturers, but Topo seems to have nailed it here. In durability, the Fli-Lyte 3 handled the 50-60 miles I threw at it without any noticeable wear, nor overly long break-in period. I’d feel confident recommending the FL3 as a daily trainer for nearly all mileage-ranges. Our RTR review of the Topo Fli-Lyte 2 was brought to a premature end by a problematic upper, causing blistering and discomfort. Fortunately, the upper on the Fli-Lyte 3 represents a significant improvement over its predecessor, and anchors the shoe as a great, if ultimately imperfect, low-drop trainer. The thread of “natural running” weaves deeply through Topo Athletic, and the 3mm drop, wide toebox, and no-frills, get-out-of-your-way cushioning system of the FL3 make this an easy shoe to recommend to runners who have experience in the Topo lineup, or tend to run in flatter-profiled, lower-drop trainers, like those offered by Altra and Inov-8. Unfortunately, the Fli-Lyte 3 is imperfect; the cushioning system, while ample, was a bit jarring compared even to its low-drop peers, and the lacing system was simply inadequate to get sufficient lockdown for really fast or technical runs. The Fli-Lyte 3 has its place in a running shoe lineup, and should find a home in many runner’s closets. It’s light, agile, and well-profiled as a shoe that simply gets out of your way and allows for an efficient and fun ride. You’ll find flashier or more technology-laden shoes, but there’s something enjoyable and pure about the Fli-Lyte 3 that keeps me coming back. Salming Miles Lite (RTR Review): Salming, like Topo, is driven by no-nonsense, natural-oriented running. We liked the Miles Lite quite a bit, but found the ride largely uninspiring. The Topo is a similarly-platformed shoe, and both models provide ample room in the toe for the majority of runners. A prudent buyer would be wise to compare these two; the Topo feels a little more “minimal” compared to the almost traditional-trainer feel of the Miles Lite, but ultimately the decision is a toss-up. Salming Greyhound (RTR Review): Our overall feedback on the Greyhound was mixed, but nearly everyone agreed that an improvement to the upper would transcend the shoe into the next level. Here, Topo is a step ahead, and while the midsole on the Greyhound is a little more exciting and peppy than the FL3, the overall package from Topo is a better bet, especially at $20 less. Enda Iten (RTR Review): Enda makes their shoes in Kenya, the birthplace of distance running. 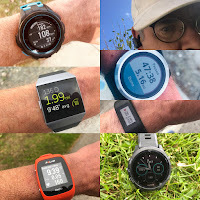 I was a huge fan of the Iten, which is a stripped-down, no-frills trainer (not unlike the Topo) that has a definite edge for running faster. The lockdown provided by the Iten was superior in my experience to that of the FL3. For recovery running, the FL3 may be a stronger option owing to a slightly thicker, bouncier midsole. These look... cool? A Topo shoe that looks cool? What's happening? As a more serious question, how do you find the midsole compared to other Topos? I tried to like the ST2, but just couldn't do it. Something about it felt super clunky, and I'm a person that likes more minimal shoes. Right?! It's the best looking Topo in the lineup by far (in my opinion). It's not the smoothest midsole I've ever run in, but it certainly did the job. As I think I had in the review, it gets out of your way. You won't notice it in a good way (Vaporfly, e.g.) or a bad way (Ravenna 10, e.g. ), but I think it's more than enough. Thanks for the review. Love Topos, especially the Fli-Lyte, which I've run in since the FL1. I was kind up unhappy when they changed the FL with FL2, taking off some of the outsole rubber, Concerns with wear. However, Topo's EVA has held up with many miles. I use the FL for roads and trails. I prefer a shoe with less lugs, which can transition from road to trail. Currently I am running in Carsons and FL2. The new upper looks great. I am definitely trying out the new FL3. @Pug, I think it's worth your while. I can't speak to trail performance, really (the most serious I tested it on was some flat hard-pack dirt), but the outsole does suggest to me it'll be competent. I think you're right on longevity, too. Should hold up well, and no signs of wear on my pair yet. Excited to keep running in these! Do you know if they'll be available in men's 7.5? Topos are my ideal shoe, but they only offer 7.5s in select models. @Anonymous, I don't. But Topo certainly offers very weird size ranges. Have you tried a women's 9? Should have the same length and (especially in a shoe with such a wide toebox), may be functional. How do you think they compare to the similar stack height Altra Torins? I've heard some folks describe the Torin EVA as slightly firmer with more "natural foot expansion" than the somewhat "heel-toe rolling" of the Topo EVA. Any thoughts? Also I take back my previous comment on this being the first cool Topo. The Terraventure 2 in the tangerine is fire. @Curt, I've only done very limited running the Torin, but in my experience Altra's across the board are considerably firmer than the Fli-Lyte 3. As to the difference in "foot sensation," maybe more a function of the entire shoe than the midsole material alone; I thought the FL3 had sufficient "natural foot expansion" (or what I called toe-spreading). Was it midfoot or heel lock down that bothered you? I tried the Fly-Lyte 2 and was bothered by the heel slippage and hopped it would be addressed in the 3. @Adam, in my case they were sort of related, but certainly more midfoot than what I consider true "heel slippage." Didn't have any blistering issues, I just couldn't readily get them to a comfortable tightness for anything involving faster turnover or tight corners.